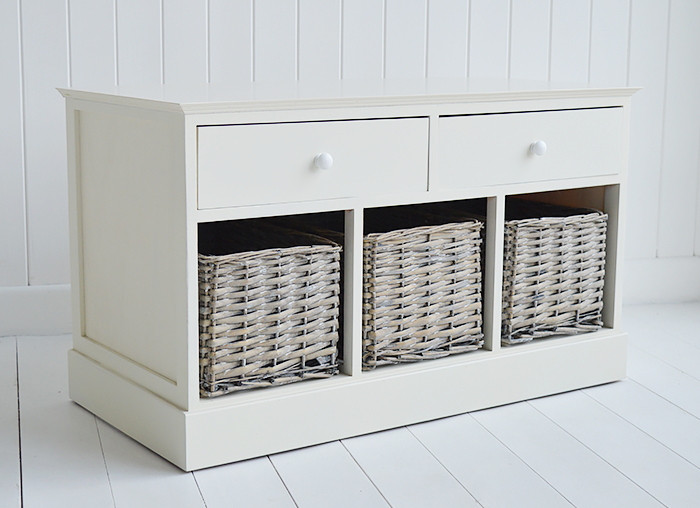 The Newbury cream storage bench seat with three long basket drawers and two large top drawers with white knob handles. 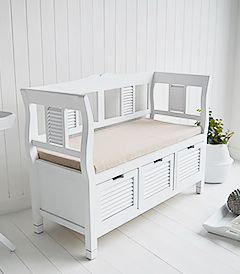 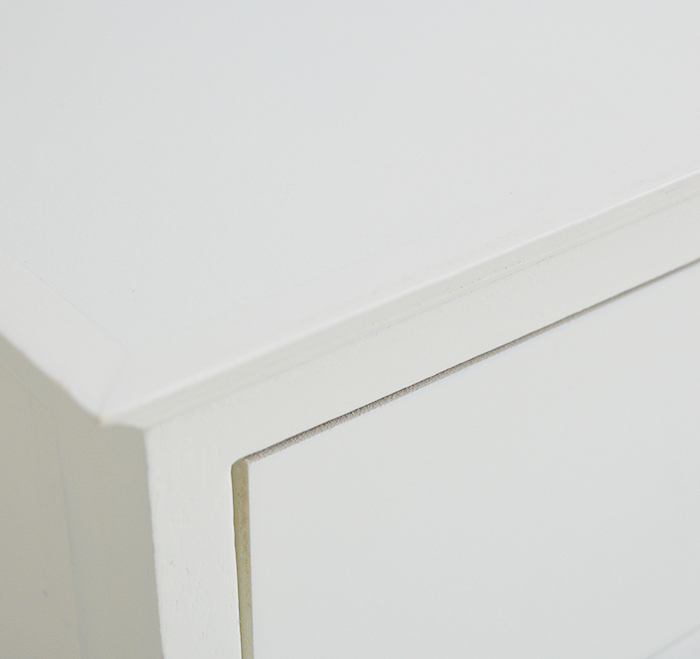 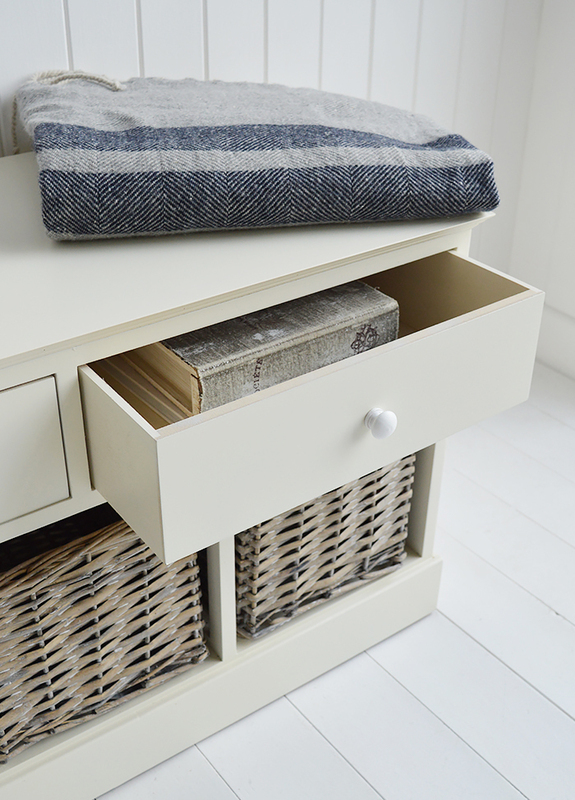 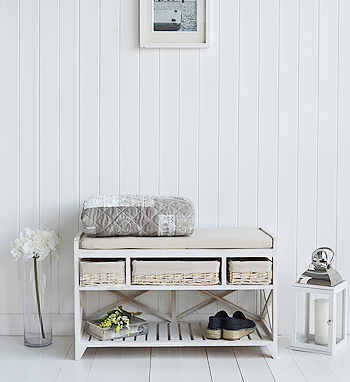 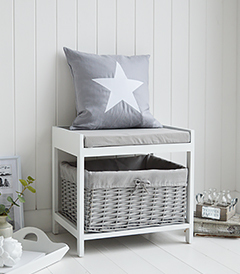 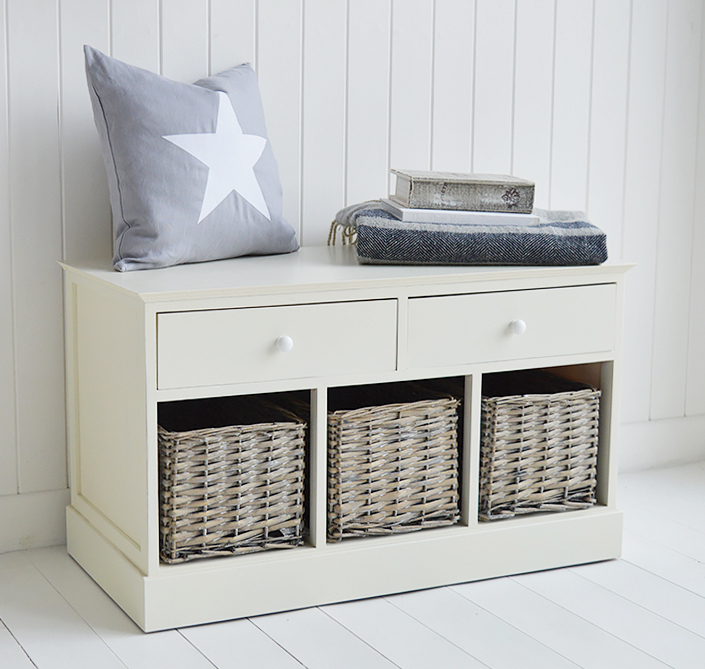 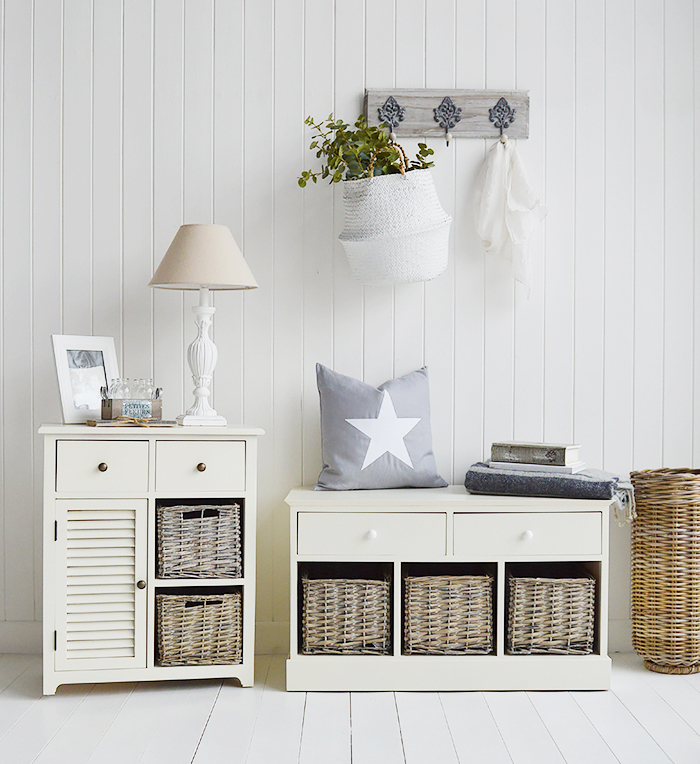 The Newbury is a soft cream range of storage furniture, perfect for all rooms in the home. 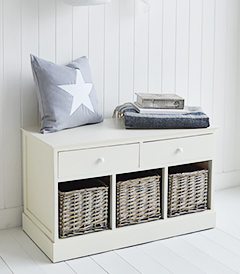 Living Room Furniture: An ideal window seat in the living room, thefive drawersare great for toy storage. 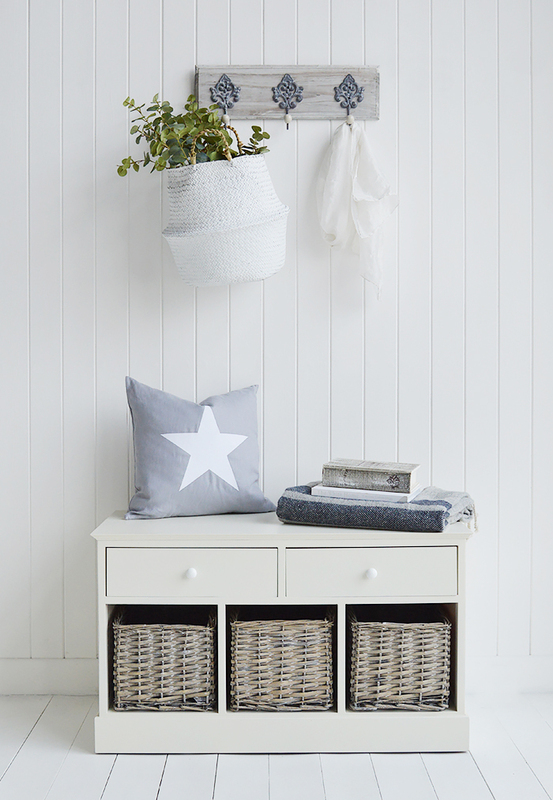 Tip: Add cushions for some extra comfort to relax. 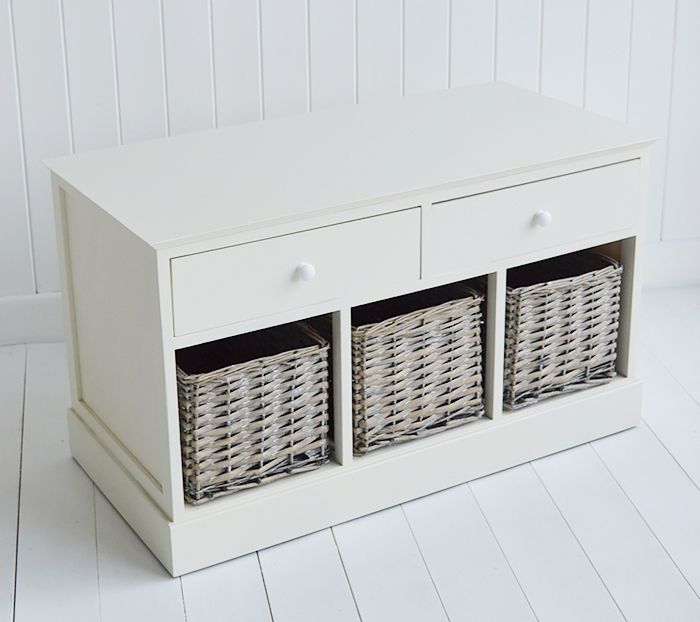 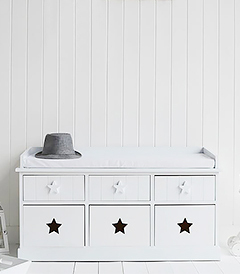 Bedroom Furniture: Great storage bench with 5 drawers for the end of the bed.